I’ve been dealing a lot with bit operations lately. And doing lots of benchmarking, like here. 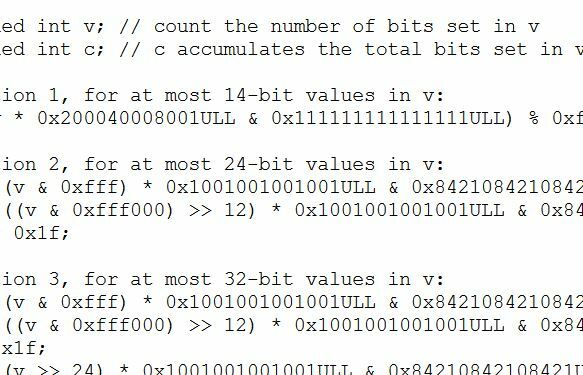 As I was looking for a bit count method in Pharo (it used to be there but it no longer exists in Pharo 5.0), I got curious about the many different versions of bit counting algorithms I could find on the internet. So I decided to share what I found. This could potentially be useful for people who have to deal with bit counting a lot. Especially if you deal with 14 bits or less! Here’s a typical run of the different bit counting algorithms I have tested on Squeak 5.1 64bit. Now, since method #myBitCount2 is similar to the #bitCount method in Squeak, that means there is still place for improvement as far as a faster #bitCount is needed. Now the question is : do we optimize it for the usual usage (SmallInteger), for 64bit integer or we use an algorithm that performs relatively well in most cases? Obviously, since I will always be working with 64bit positive integers, I have the luxury to pick a method that precisely works best in my specific case! All test code I have used can be found here. 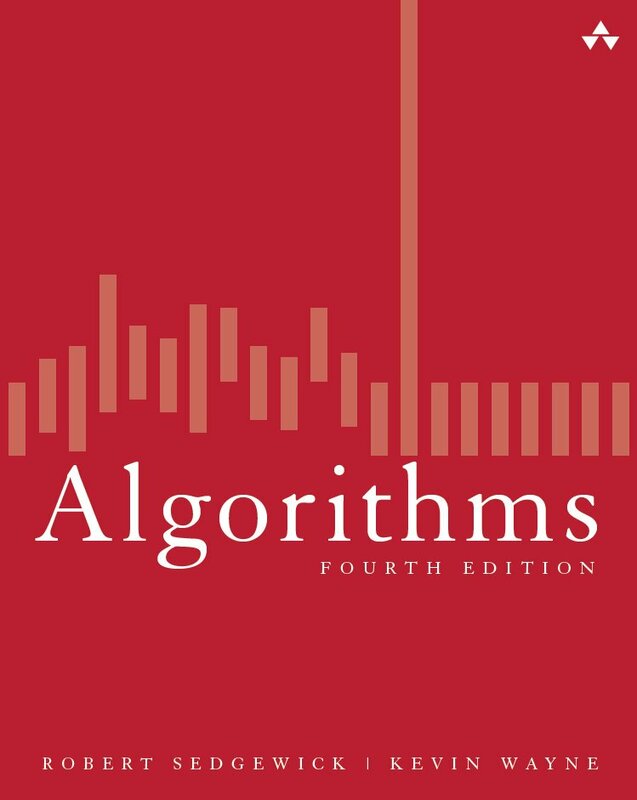 Remember sorting algorithms, big O notation and the countless hours you spent implementing all kinds of crazy sorts? Well, my university days are far behind me and it was kind of fun to be reminded of all the time I once wasted coding that stuff over and over, before libraries, frameworks and code reuse would be the norm! Here’s a nice & short video showing 15 different sorting algorithms in action. Here’s another short video showing 24 different sorting algorithms perform at the same time.